Borderlinx | Buy Loewe and ship worldwide with Borderlinx. Cheap rates guaranteed. Loewe is an old Spanish luxury fashion house that started as a team work between a German craftsman specialized in leather and a workshop of Spanish craftsmen in Madrid. The union between a certain german precision and technique and spanish's sensuality and creativity gave birth to the brand Loewe, establishing itself in 1872. The luxury items became increasingly popular over the years, especially the hallmark bag Amazona and the classic Loewe monogram bag. Loewe offers a womenswear collection and a fragrance line as well. 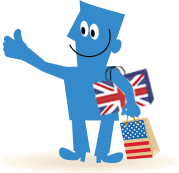 International customers can buy Loewe USA with Borderlinx today! Borderlinx will ship your luxury order right to your home, and our Shipping cost calculator determines your cheap shipping, tax & duties upfront! A number of services are available through Borderlinx to make international ordering from Loewe USA hassle-free, including concierge, free repacking and consolidation services.